Out of the blue - the fresh new free simple template right here, right for you. Let's call it 'Customary'. Researching for free simple templates? Well, search no more since they are right in front of you - download free clean style at Website Templates Online.com. Our free web templates are manually selected and are being developed by highly rated professionals in website creation, usability, e-commerce and web development and we comply with all the developments in the profession, thus if you're looking for a hassle-free site creation you happen to be at the right spot. Oh well, now tell me - why all the hassle? Free suggests terrible quality, right? Are free clean style templates worth anything? I'm not really bragging, however, truly, the majority of our free templates are not only gorgeous but also standards compliant, i.e. valid HTML/CSS. Who needs a tailor-made website design? The one who has enough money for it. And, well, enough time. As it takes lots of both. Now a small or medium online business could go just fine with a template. Hey, wake up - lots of (in fact, hundreds of thousands) of websites use website templates. And you know what? No, they don't seem to be similar due to there being such thing as customization! Whatever sort of site I've created through my personal web development career - and I've got some I can tell you ;) - I never had a problem getting a web design template for the project. Different topics, different CMS engines, totally different structure - I could always unearth some free template which with some customization becomes a unique design for the project. I'm sure you'll hunt down suitable free web template for your online business as well. 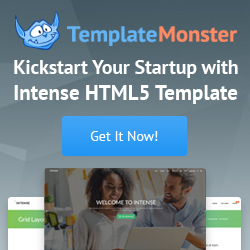 Lots of work and inspiration are placed into nowadays free web templates - these are no more a playground for total newbees, now the gurus of website design are filling the market with the samples of their high quality products - just for fun and completely for free. We hope that our free simple template is what you were looking for your blog website.